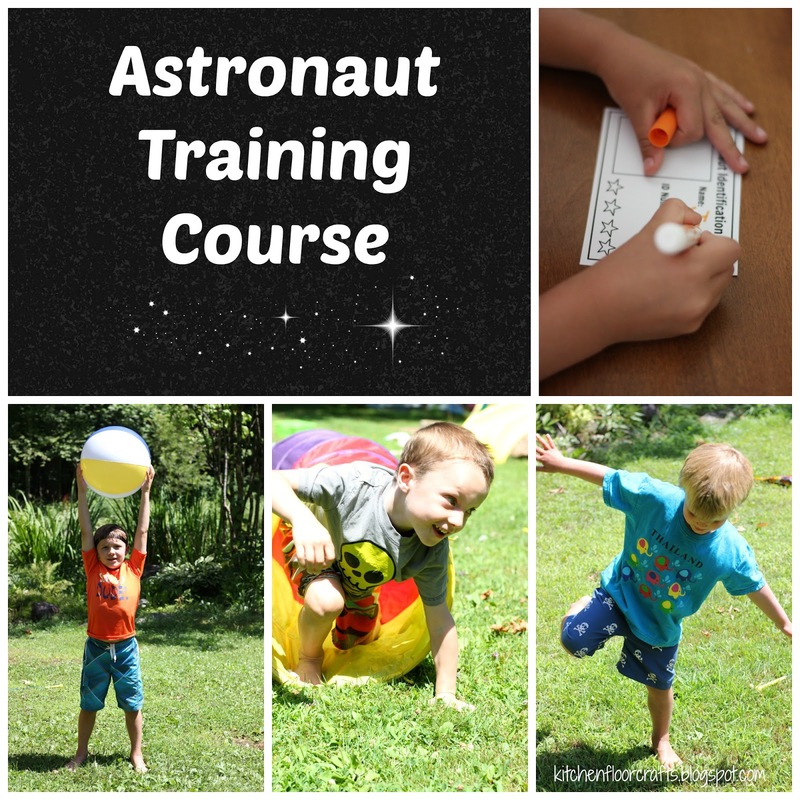 The boys always love chances to test their gross motor skills, and the Astronaut Training Course we put together is a perfect activity to do just that! Obstacles courses of any kind are a great way to create a little fun in the yard, or if you have enough space - inside on a rainy day. Give the Obstacle Course a theme and a have kids complete something at the end - even better! This obstacle course post includes 2 free printables- a training checklist and an astronaut id card at the end! 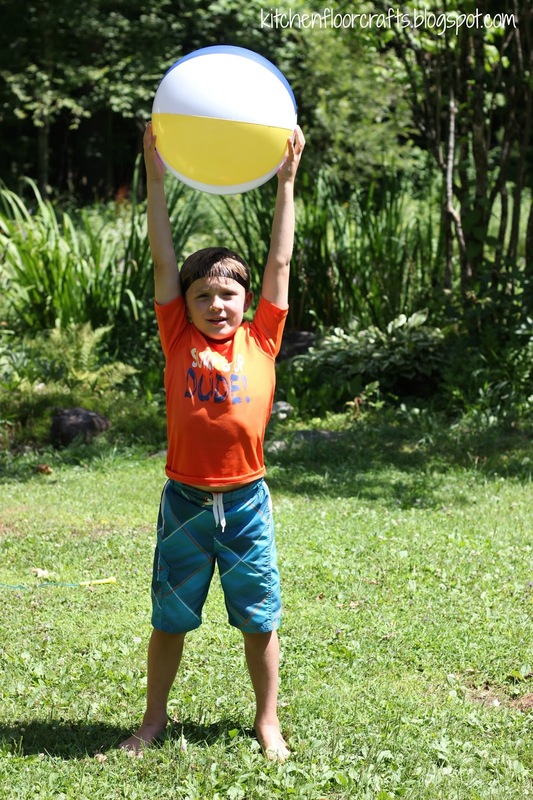 We first thought of this activity a few years ago when we had Big Brother's Outer Space Birthday Party. Since then a lot of people have asked what we did during the party. For this activity I recreated the Astronaut Checklist. You can print off your own copies of this free printable! 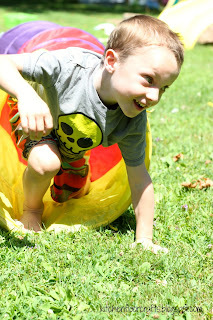 1) Tunnel Crawl- The boys used our pop-up tunnel and crawled through as quickly as they could. 2) Gravity Lifts- The boys lifted a giant "moon rock" (or large beach ball) 3 times. 3) Toe Touches - Just like it says, the astronauts in training had to prove they could touch their toes 4 times. 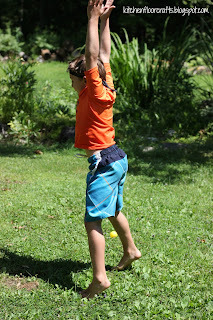 4) Line Hops- We stretched a long jump rope out and the boys hopped side to side over the jump rope or "line." 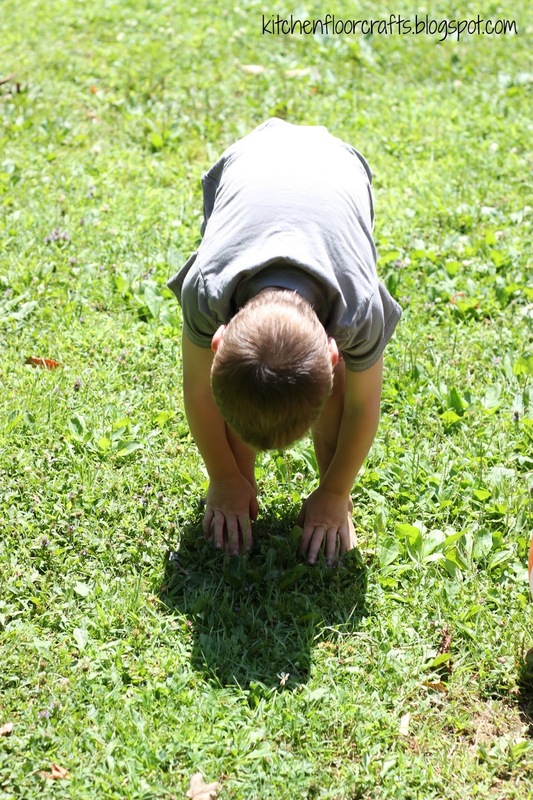 5) Jumping Jacks - Each kiddo had to complete 10 Jumping Jacks as astronauts need to be able to jump around, of course! 6) Balance Counts- Each kiddo balanced on one leg and slowly counted to 8. Although these were our ideas you could swap this up based on what materials you had on hand. For example, no tunnel? Have kids crawl through a small fort made with chairs and a sheet, or even easier, just act like they are crawling. A gravity lift could be done using a pool noodle or something small and tiny- I just would not use anything actually heavy for safety's sake. The line hops could be done over a taped line or kiddos could start at one line and hop to another line. For a little extra challenge older kiddos could also be timed on the course too. The Astronaut Checklist is meant to be pretty open ended. Once the kids had each completed the course, they then got to color in their Astronaut ID Card. Each sheet comes with 4 cards, so a group of kids can each make one or one kiddo can complete the course a bunch of times and create several. I'm always looking for ways to channel the boys' active energy - and this is definitely a fast easy way to do it! 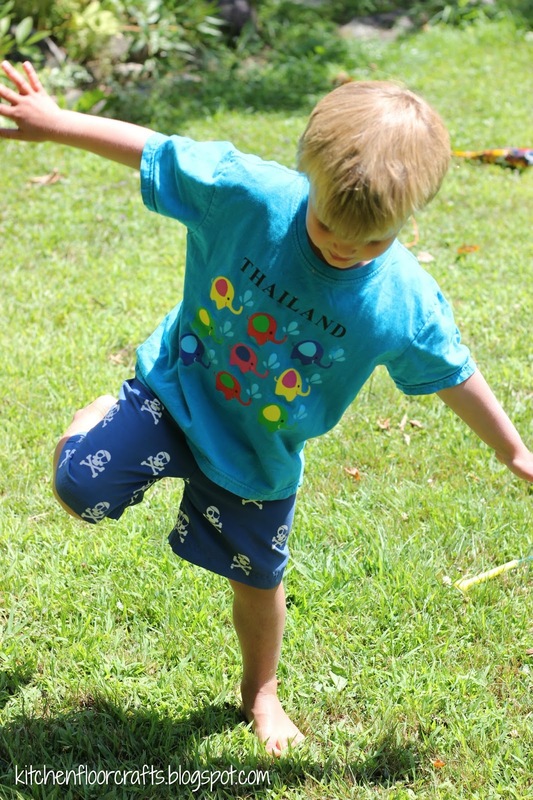 Best of all, as with many of our activities, it can be done with different age levels and different sized groups too!